You are here: Home / Marketing Talk / #30Thursday: Four, Four, Gimme S'more! #30Thursday: Four, Four, Gimme S'more! Phew. What a week, and it’s not over yet! I’m really excited about something regarding this project – people are recommending OTHER peoples’ blogs more than their own. These are the kinds of things that give me faith in both humanity and Social Media – in that order. I hope you enjoy these posts. Don’t forget to congratulate the authors, and don’t forget – as soon as you see this post, it’s time to send me new ones for next week! 1. Great post on proofreading by Bob James (The Mighty Copywriter). The graphic he uses is hilarious! 8. My friend @FutureJennD recommended this post about an atypical day at the fair, by @framericandream. Be ready to hold your breath! 9. @FutureJennD also wrote a post her own self! A great post about the complexities of a blended family. 11. @Tommyismyname warns you that your profile information can be used against you. Watch out! 12. I loved this post by @LisaPetrilli. Maybe sometimes the best leaders are those willing to be vulnerable. Brilliant. 14. My friend @fredMcClimans has important observations about bit.ly and other link tracking through Twitter. Privacy concern post #2 on this week’s list! 16. My friend Stan @PushingSocial tackled the question “How often should I post?” a little while ago. It’s a great argument. What do you think? 17. @MissusP (Christine Perkett) is one sharp thinker. I loved her post on how Social Media is affecting PR firms. Check it out! 18. @SueYoungMedia offers a fun quiz for PR Pros. Pretty fun, funny, and thought provoking! 20. @Salamicat ponders food, glorious food. Don’t read if you’re already hungry! 21. The first post to make me tear up. @naomidunford’s guest post on problogger about not giving up is sad, inspiring, and beautiful. Read it! 22. Your weekly @JayBaer dose – Jay looked at the 25 most popular blog posts on his blog. Then he blogged about how that exercise can help you blog better. 23. Another mind-bending post from @julien. Happiness, what to do, what not to do...you might be surprised at what you learn. 27. Read this post by @AmberCadabra if only because she uses the word kerfuffle! A post about opinions, the freedom of, and PriceChopper. 28. My brilliant friend Debra Ellis (@wilsonellis) wrote a great post on the 8 people your company will meet on Social Media sites. Invest your time wisely. 30. I’ve already put this wisdom to use this week, so I guess I’ll round things off with my favorite Chris Brogan post of the week…are you asking the right questions? You just might be surprised at how a subtle change can alter your outlook. Thanks so much for including me in the list, Marjorie. Your blog is tops! Oh, thanks Bob. I enjoyed your post. Thank you for sending it! Thanks Margie! It is so wonderful that you do this, especially for me who wants to find new and great blogs and has it toward the top of my wish list but never gets time. I really appreciate you taking the time you do to aggregate such a wonderful list of posts each week. And I am quite shocked to be included in it – so thanks again that was very generous of you. Thank you, Marjorie. I’m honored to be included in your list. Seriously, this is a great list! We put together a few recommendations every Friday on our own blog as well but wow – this list is thorough! I love what you’re doing and I’ve really enjoyed getting to know you a bit better each week through the multiple Twitter chats we’ve both been frequenting. Connecting with smart people like you makes me feel like I have secret advantage. Thank you again – great stuff. You are quite welcome! You are doing good things. Happy to tell people about it! Thanks for recommending my blog. I love that you do this. It helps us all find more interesting things to read. Well thank you! That is the entire idea 🙂 Glad you enjoyed! Glad to know you as well! Wow, we are among incredible company being a part of this list. I wish I could take the credit for the post, but it was my brilliant Business Partner @KayWhitaker who was responsible for “Clinton Global Initiative’s goal of expanding impact resonates.” Thanks for including us and being such a great Connector and Thought Leader! Now off to read the others on the list. Oh, I was giving you credit for sending it along…i’ll put Kay’s name in there as the author though. Nice little line you worked in there. I will find a way to get you back for that 🙂 heehe! Marjorie – thanks for adding me to this very cool list. It means a lot. And thanks too for your thoughts on my post about those 8 yr. olds! I have to say, you make me laugh on Wednesdays – love your sense of humor and candor. Thank you thank you for including the school bus advertising article. My hometown is in NJ as we know as your strong ties to Akron I will admit did help to push that post along. My son is exposed to billboards here (though not often) that make me cringe when we have to go down by the strip for an airport run or an event. As a parent, an x to the area and also a marketer it was not an easy article to write as I am so torn with no real opinion (imagine). However it was something that I thought as someone born and raised there with family and a ton of friends there I thought was an important topic and really I thank you for including it here. I guess inherently we are ad gals. Love this weekly post Btw as I get exposed to so many new blogs and articles that I miss. Thank you for doing this! I finally got an opportunity to read a good chunk of these posts-great stuff! Thanks for also including my blog post on my Superman giving me a ring, and how social media helped make that happen. It was a really special moment in my life. 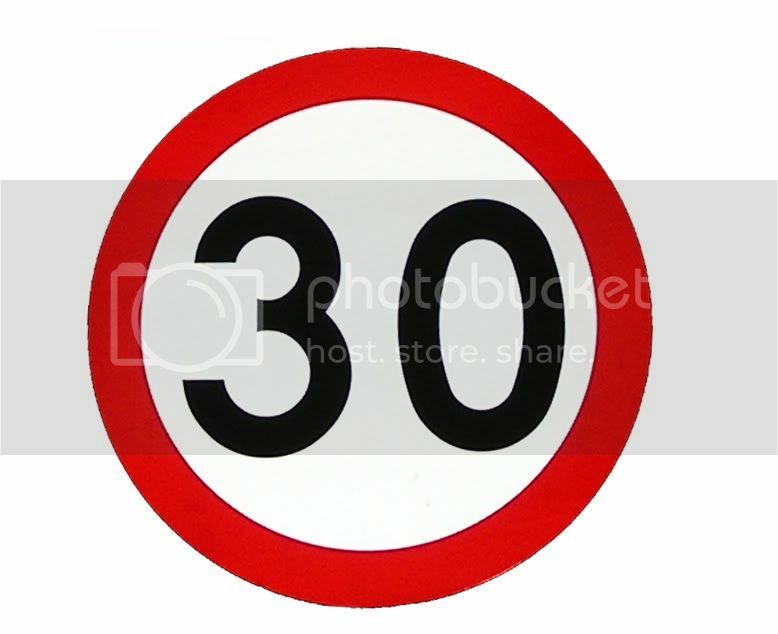 Looking forward to the next #30Thursday!